Students at Harvard Law are asking the school to change its seal. It has long appeared in nearly every corner of the prestigious school. But now Harvard Law School’s official seal is under heavy scrutiny because it includes elements drawn from a slaveholding family’s crest. Following an outcry from students, officials from the school are examining the continued use of the seal, in what is the latest controversy over race and historic injustices on US college campuses in recent weeks. 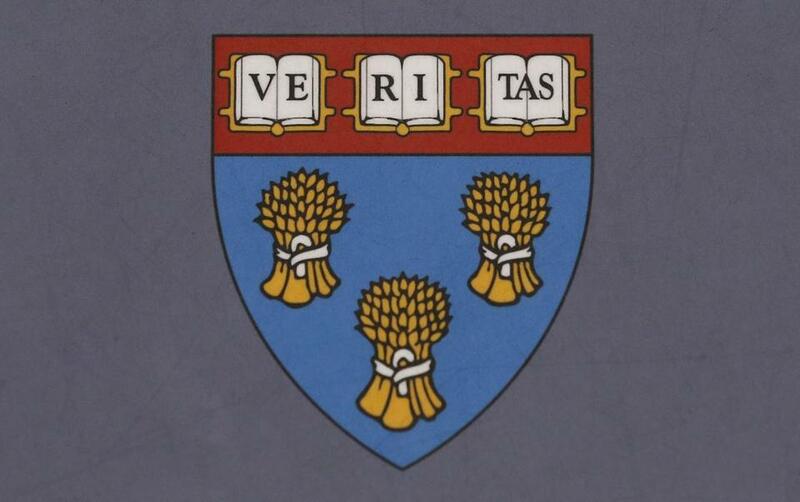 The seal includes the Harvard motto “Veritas” as well as three bushels of wheat, the coat of arms of the Royall family, which owned and brutally abused slaves. Minow has assembled a special committee to research whether the seal should be discarded. She expects the group to make a recommendation by March. At Harvard Law, a group of students called Royall Must Fall has spoken out against the seal, which has been used to represent the law school since the shield was first adopted nearly 80 years ago. When someone defaced portraits of black law professors hanging in the law school’s Wasserstein Hall using strips of tape in November, an incident that is being investigated as a hate crime, the group’s message took on heightened meaning. In a statement Tuesday, members of Royall Must Fall said they hoped that the committee would rule in their favor and recommend that the shield be rejected. Students have said that replacing the seal would not erase the brutal history of the slave trade. “Instead, it would appropriately acknowledge the dark legacy of racism that is presently hidden in plain sight,” the students wrote in a letter to Minow. Harvard Law, considered one of the best law schools in the country, for generations has launched graduates into positions of power in business and government. Its graduates include President Obama, the nation’s first black president. The White House said Tuesday that it had no comment on the seal controversy. The special committee tasked with studying, discussing, and making recommendations about the seal will be composed of faculty, students, and an alumnus, according to Harvard officials. The group will review comments and input from the school’s community. “Through that process, we will gain a better sense of what course of action should be recommended and pursued,” Minow said. Isaac Royall was a slave owner who left in his will land for Harvard College to sell and establish the first law professorship in his name. Royall’s father “treated his slaves with extreme cruelty, including burning 77 people to death,” according to a statement from the law school. Although the younger Royall died in 1781, the seal wasn’t designated until 1936, when the university celebrated its 300th anniversary. The controversy surrounding the seal has recently reached a high pitch, but the seal’s deeper meaning hasn’t gone ignored in the past, according to law school professor Randall Kennedy. A 2011 study led by Harvard professors and students, called “Harvard and Slavery: Seeking a Forgotten History,” highlighted the role that Royall’s contribution played in helping to establish the law school. “The labor of slaves underwrote the teaching of law in Cambridge,” the researchers wrote. The book “On the Battlefield of Merit,” about Harvard Law School’s first century, coauthored by Daniel R. Coquillette and Bruce A. Kimball, and published in October, also addresses the family’s legacy. Professor Janet Halley, who currently occupies the Royall Chair of Law, spoke about the chair’s past when she was appointed in 2006. She said in a telephone interview Tuesday that it is healthy for students to engage with the law school about the Royall family legacy. But Halley, who is on the committee that will review the seal, stopped short of recommending what she believes should happen to it. “The upside would be that there would be this cathartic moment of saying no to its origins. But the danger would be that it could facilitate a forgetting of its origins,” she said, calling the seal a visible reminder of the impure foundation of big institutions. “I think it’s a morally compelling thing we ought to really face, and I welcome that we would do so through a discussion. It’s clear that there should be a lot of conversation about this by a lot of people, and we should consider this very thoroughly,” she said. Laura Krantz of the Globe staff contributed to this report. Steve Annear can be reached at steve.annear@globe.com. Follow him on Twitter @steveannear.